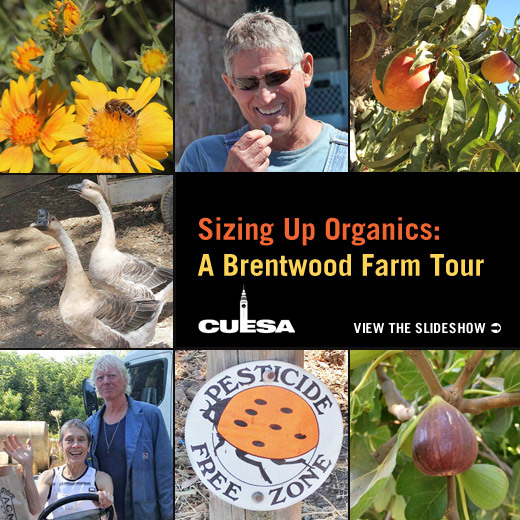 In August 2012, CUESA led a tour of two respected Brentwood farms to learn the ins and outs of organic production. First we visited Frog Hollow Farm, where Farmer Al showed us his stone fruit orchards, which have expanded from 13 to more than 140 acres in the past 30 years. Next, we visited Knoll Farms, where Kristie Knoll told us how organic practices at work on a smaller scale.